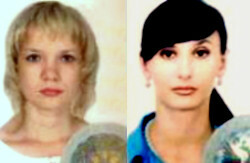 Pattaya police have arrested a prime suspect in the murder of two Russian women near a beach resort last weekend. Police arrested the 24-year-old Anuchit Lamlert Thursday night, after his former girlfriend identified him as the murderer of Tatiana Tsimfer, 30, and Liubov Svirkova, 25, on Feb. 24. Anuchit confessed to the murder and said he did so in order to rob the two ladies. But police believe Anuchit is lying to hide that he was hired to shoot the two women by the Thai wife of a Russian national working in Pattaya who had befriended one of the ladies. Media reports say the brutal murder has tarnished Pattaya's reputation among Russian tourists, who were the resort's largest overseas market last year.